The Ecumenical Patriarch’s recent new calendar Christmas encyclical has proclaimed this upcoming year, the “Year of Global Solidarity”. 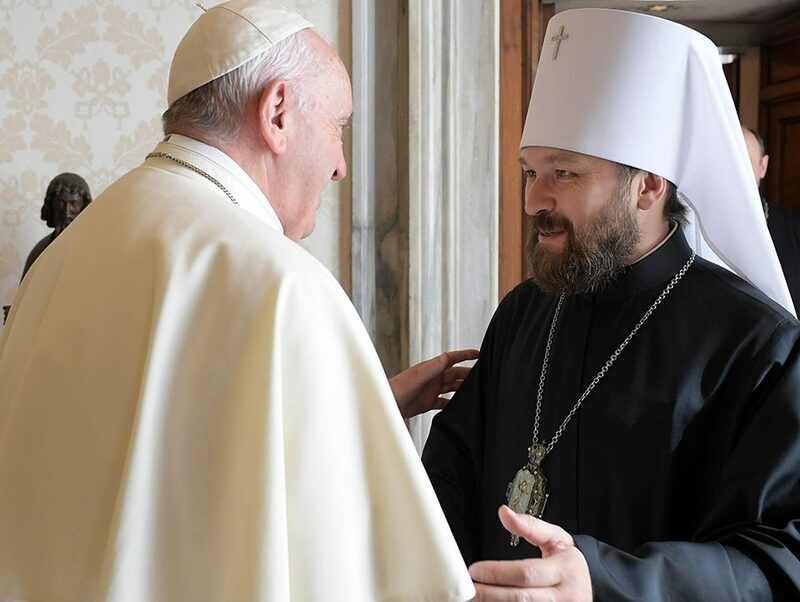 Of course, Patriarch Bartholomew believes Constantinople (which, as a see, has been devoid of an Orthodox hierarch for some decades, since Bartholomew, and his predecessors have been heretics from a traditional Orthodox view) is an equivalent of a Roman Vatican. Yet, while the high sounding words of Pat. Bartholomew are critical of the world financial crisis, and what he has perceived to be its causes, he does not seem to adequately explain why he would make such a proclamation. Why? Because, if the problems of the global economy are a result of globalism, confiscation of the property of the majority, and the over-arching power of global financial elite, then, what is his solution? By “Global Solidarity” does he mean “Global Governance” or something that approaches that in other words? Is the answer to centralization of power and wealth by elites who control all major political institutions, parties, governments, media, to be sought by giving the same institutions, parties, governments, even more control? Yet, while it is laudable to say that the financial crisis is a result of a moral crisis, Pat. 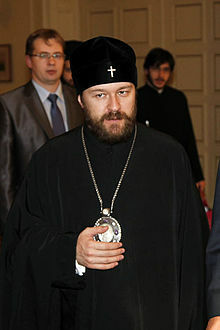 Bartholomew has refused in any encyclical to condemn and seek for legal means to officially prohibit abortion ‘rights’. While he earnestly seeks some solution by governmental/legal means to our financial woes, he seems to not see the other glaring moral problem: life. 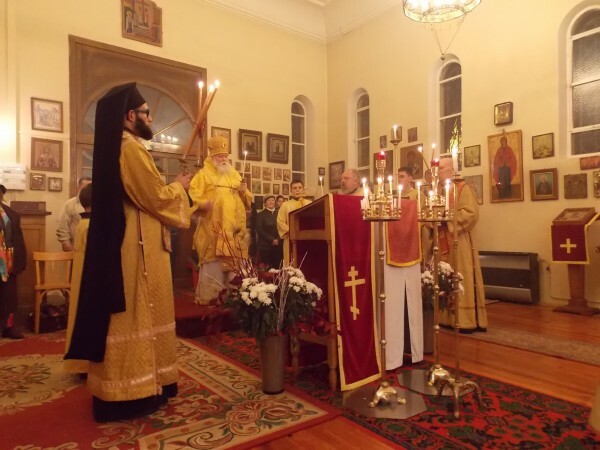 When Greece has the highest abortion rate of any European Union nation, why has the Patriarch been strangely silent in his public proclamations against abortion. On the contrary, he has actually supported the aborting of mentally retarded children and disabled children, at least when he was Metropolitan of Chalcedon. Will he be silent about more horrors? 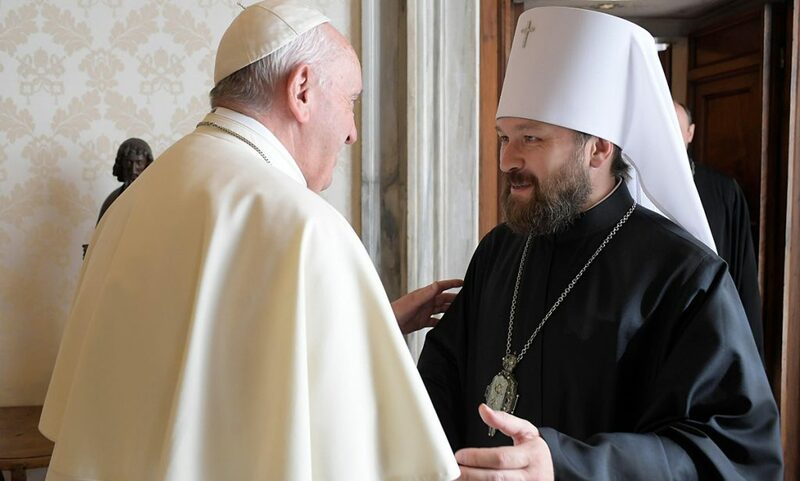 Father Enoch, do you have the source for Patriarch Bartholomew’s support of abortion for disabled children? I recall reading this somewhere, but I can’t find it. One of the most shocking things I encounter in discussions with other Orthodox people is an indifference to or support of abortion among many of them. 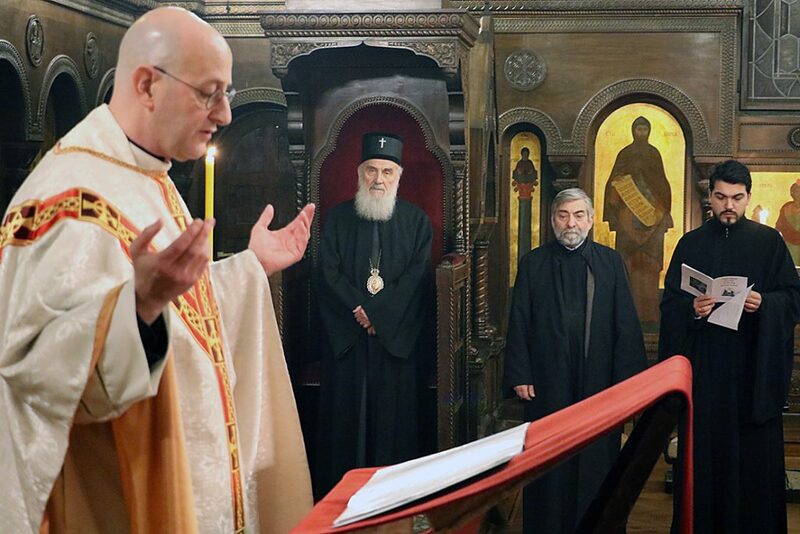 Perhaps the Ecumenical Patriarch’s statements are one reason why. Thank you, Father Enoch. Very disturbing reading. On the “first things” site, one poster states that Patriarch Bartholomew is “a joke” to Greek Orthodox people. Is this a common opinion? 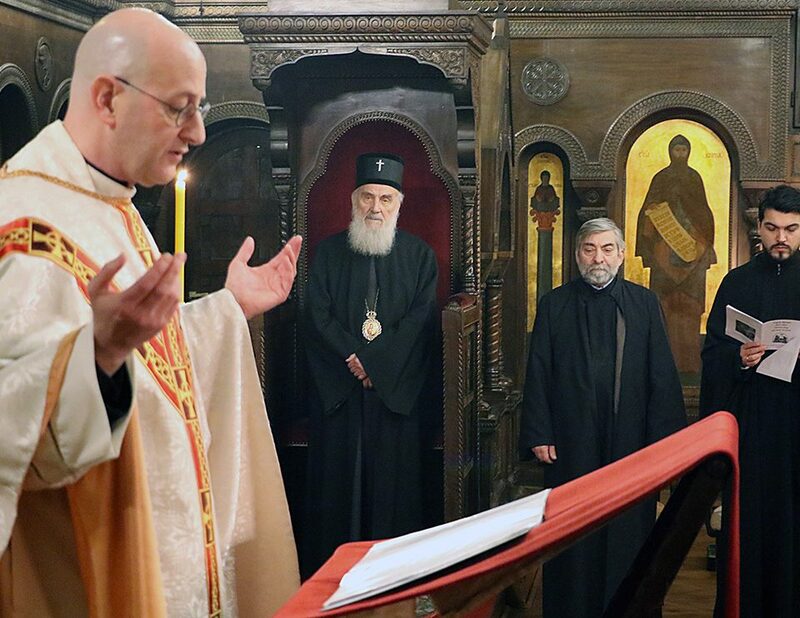 Also, in your blog you talked about how the Patriarch never mentioned Our Saviour in one of his addresses. I watched a video of his speech in the Park East Synagogue, where he said our first duty is to be stewards of the earth and not once did he mention Our Lord, Jesus Christ. He enters a synagogue, bows his head during the evening prayer, and then does not proclaim the truth. When St Paul entered the temple, he preached Christ crucified to the jews; the self-proclaimed head of the Orthodox christians does not. Lord, have mercy.